The AT-38C produced by Northrop, is a two-seat, twin-turbojet trainer powered by two General Electric J85-GE-5R turbojet engines rated at 4350 lbs of max thrust. 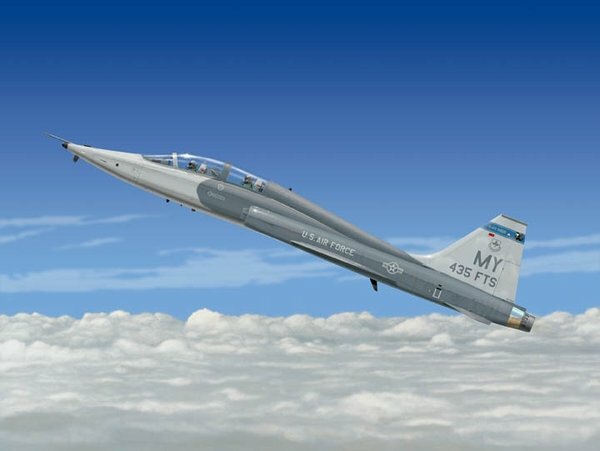 The Talon was the first Air force supersonic trainer and is still in use today. It is capable of speeds in the Mach 1.2 range and altitudes of up to 50,000 feet MSL (Mean Sea Level).